Jack was delighted by his customised sporty cake! Hobbies can be added/altered as required. 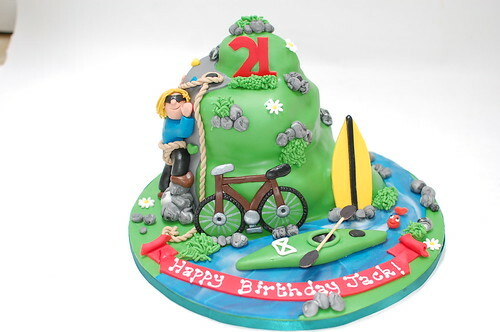 Jack’s Sporty Hobbies Cake – from £90.